Cacik is a very simple yet very delicious cold sauce or salad how do you like to call… a side dish fit for many things. 5 minutes preparation time and make your table and menu rich! 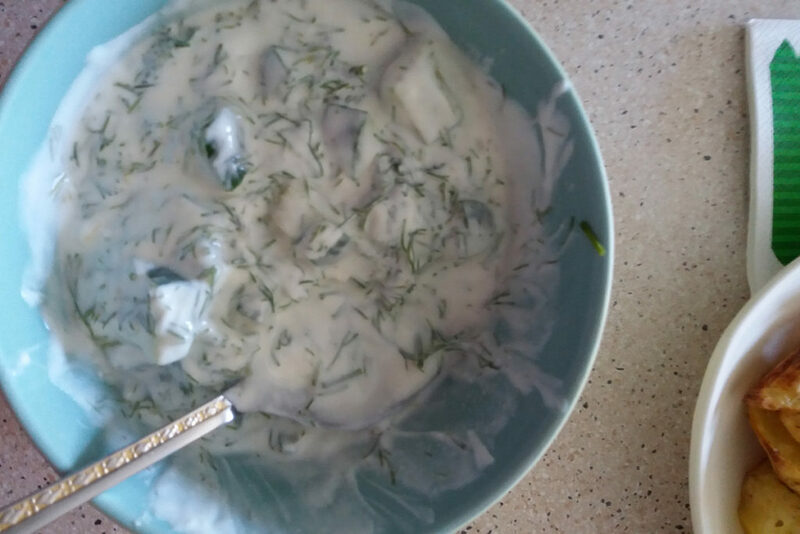 Cut the cucumbers, add chopped dill or mint both fresh and dry is ok. Add the plain yogurt. If you like you can 1-2 clove garlic and/ir a few drops of olive oil. Mix well and even if its a hot summer day you can add a few ice cubs and ready to serve!